Best HEPA Air Purifiers with UV For Hospitals, Doctor Offices & Patients Homes! HEPA air purifiers with UV for hospitals are very important for many different situations. So that both the patient and the hospital staff remain healthy and free of dust, allergens and biological contaminates. These contaminants include viruses, bacteria and mold spores. These can cause people to become very ill especially if they have weakened immune systems. Weakened immune systems are due to experiencing asthma, allergies, COPD, cancer, AIDS, chemical exposures and other toxic exposures. This also includes people undergoing treatments like chemotherapy, stem cell transplants, bone marrow transplants and organ transplants. Where destroying the immune system is not part of the treatment protocol! 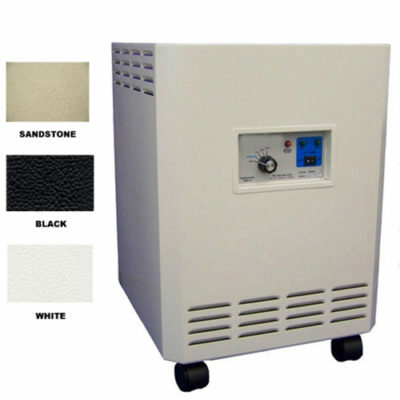 The best HEPA air purifiers with UV for hospitals have to be 100 percent sealed. This seals them off from from any and all leakage of dust, allergens, pet dander and all biological contaminants. So that these contaminants do not blow back into the indoor air quality to breathe and react to. The best HEPA air purifiers with UV for hospitals also need to include a non-ozone producing UV (ultraviolet) light system. This will destroy all biological contaminants in the airflow of the area where the air purifier is placed. Again this includes viruses, bacteria and mold spores. These HEPA air purifiers with UV must also include multiple pounds of replaceable activated carbon to remove odors and off-gassing chemicals from carpeting and furnishings in the indoor air environment! All of these factors are very important and must be an important part of all HEPA air purifiers for hospitals. These purifiers should be located in hospital rooms, sick patient waiting rooms in doctor offices, and procedure rooms. In addition to the patients home after being released from the hospital. As these people often have a very low immune system to recuperate with after spending time in the hospital. Once the patient is home air purifiers need to be in the most important living spaces. 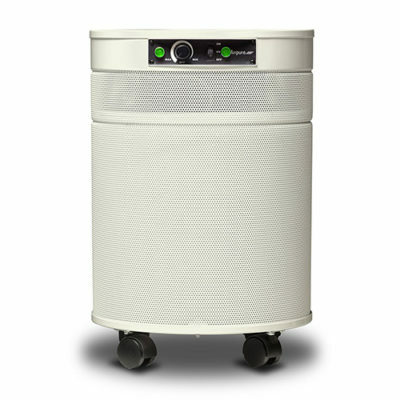 These hospital grade HEPA air purifiers should be placed is in the patient’s bedroom and family room living space. Hence anywhere the patient spends the most time, most likely watching TV or listening to music! The two best HEPA air purifiers with UV (ultraviolet light) systems are the TRACS HEPA air purifiers (Made In The USA) and the Airpura UV600 HEPA air purifiers (Made In Canada). These 2 will destroy viruses, bacteria and mold spores. So that the patients, doctors and the hospital or physician office staff will be protected. Both of these units will remove the dust and allergens in the indoor air environment. They also include a powerful UV light system that will destroy dangerous airborne biological contaminants in open areas (rooms) of a 1000 square feet or more! The smaller the room or open area the air purifier is operating is better. Because the air exchange rate per hour will be for increased for the best protection! Remember these are room air purifiers and they can only operate properly in one open room at a time. In hospitals or a doctors office one of these HEPA air purifiers should be placed in any room where people are spending time. So that these people will be protected. In the home most families will place one of these HEPA air purifiers in the suffering person’s bedroom. Then possibly another unit in the family room where people spend the most time. The then allows the person to walk from one clean space to another without any gaps or problems! For more information on the TRACS HEPA Air Purifier with UV CLICK HERE, or click onto the image of the TRACS.